I use the photo sharing website Flickr for sharing all my photos with the world. I have been using it for some time, and yet in the last two months I have seen my photo views sky-rocket. I know I have been uploading more photos recently, with this blog being a prompt to pursue my amateur photography. But that alone cannot explain why I have now close to 18,000 photo views. 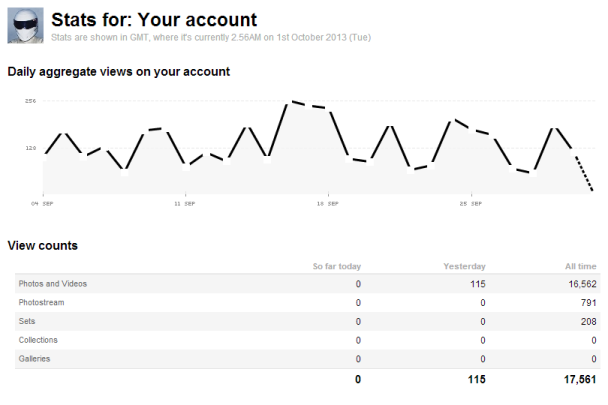 Particularly when I posted 6 weeks ago that I was creeping up to 10,000 photo views. I think one major contributing factor would have to be the 1 Terabyte of storage now on offer on Flickr. Couple that with the ability to manage the rights to your photos (unlike Instagram which is really Facebook in disguise). Of particular fascination to me is what photos have become popular as a result of this surge. I am sure he is not a Witch Doctor, but my ignorance on old Mayan culture has me reverting back to bad stereotypes. He is still my most popular photo, even if it is a staged shot. This is really surprising for me as I took this photo in May this year and is now the second most popular photo I have on Flickr. It might have something to do with the striking colours of the tower itself, backed by the breaking stormy clouds. I suppose that this was natural HDR. I never thought shots around a BBQ at my Brother and Sister-in-Law’s place one night midweek would be so popular. I blogged about this back in January this year called Australian Summer Night Food. Here is my favourite shot from that night. Maybe the stock photography sites don’t have too much of this sort of stuff. A former work colleague and friend described to me that Japan was the most familiar and alien place that he ever went to in his travels. I didn’t get what he meant until I started shooting regular “things” around Tokyo. I love Japan, but they do modern things so differently from the rest of the world. Look at the efficiency of space by having the hoses descend from the overhead roof. The micro car is typical of the city and not one that I ever saw sold in Europe, the United States, or Australia. And why would the signage be in English to the store? “Dr. Drive” is a pretty stupid name in English, so why does it suffice for this poor name to tie back to brand recognition – only in Japan. I love shooting flowers, not because I am floral by nature, but more because the colour and texture that is on tap. My favourite flower photo that I have shot is ranked at unlucky number 13 in page views. I blogged about the place where I shot it earlier this year in my Singapore Botanic Gardens post. I love the simplicity of this flower’s shape coupled with the water droplets resting on the petal shoots. A forum called Skyscraper City took a shine to this aerial photo that I named “Sydney Skyline” which I took on approach to Sydney airport. I was quite chuffed. Then I found a website called IC Direct who wrote a blog post about a window of opportunity for property investors, and they chose to use one of my windows shots. Again they attributed me with the photo recognition. Jeff Parker Cooks, another WordPress blogger picked up another of my Flickr photos from the BBQ night to add some spice to his Friday Five: My Picks of the Week (July 1st – July 5th) post about his passion of cooking – my wife would get on well with him. My sister in-law’s water can itself is interesting in its shape and design. A travel website called Your-TravelSite.com picked up one of my MTB trail photos when I camping up at the Central Coast for their page Nature Freaks in Central Coast Australia. I have specced up the MTB steed since this ride, so she looks very different from that photo. Another WordPress site Hawai’i Schools used the photo that I took of the King Kamehameha statue on the Big Island of Hawai’i for their post about the Community Power Night on August 9th. I like that a phot that I took on my travels has been used by the local community that I visited. I am chuffed that people have been able to use my photos, but I am not sure whether I am doing a disservice to other photographers who are a much better than me and are trying to make a living from the great work that they do. I would like to have my photos, if anyone is interested, viewed as many times as possible. Now I think the key thing is to see more of the world and see more of it through the eye of my camera. I have recently been travelling to Melbourne for work quite a bit. In fact, I have been to Melbourne so many times that I have lost count – and the number of trips would easily number over 200. As a Sydney-sider I find it awkward to say that I love Melbourne. 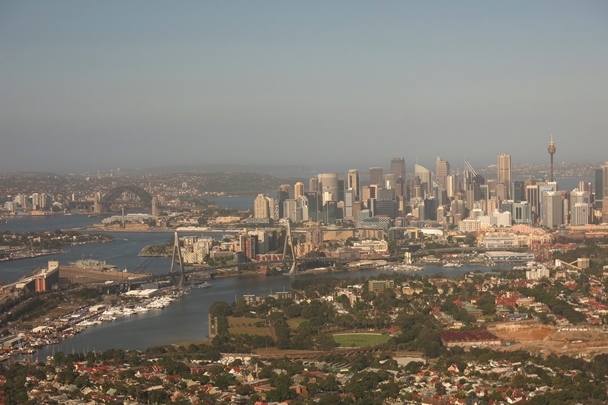 It is a totally different city to Sydney, in the same way that Los Angeles is to New York or Toronto is to Montreal. I love going there, and I love visiting family and friends that I have down there too. The client that I am working for is based in the Docklands, and it is interesting to hear what the locals think about the precinct. Empty, soulless, heartless, dead are adjectives that I have heard numerous times in describing the new modern construction going up all around. So I decided to see what my perspective would be through the lens. I took my new trusty Canon Powershot G15 to see if I could put it through its paces and what I decided to focus on in the end were some of the fascinating patterns that the modern architecture and buildings presented. There have been huge leaps in building construction since I left university over 15 years ago, and the new materials and manufacturing processes mean that architects and engineers can produce patterns in exterior cladding that were just not possible before (or more correctly cost viable – the Sydney Opera House being a perfect example). So here is what I found. The strange thing is that in some ways, these patterns remind me of the skins of reptiles – but made of metal and glass. BTW – All the photos link through to the larger images on my Flickr page. My photo excursion was beautifully ended with a spectacularly dusk setting over the unusually calm Docklands with a crescent moon over the water. I love the colour of the sky in this last shot – no Photoshop necessary! My next photo excursion down in Melbourne will probably involve either two wheels or the myriad of cool sculptures that grace the city.